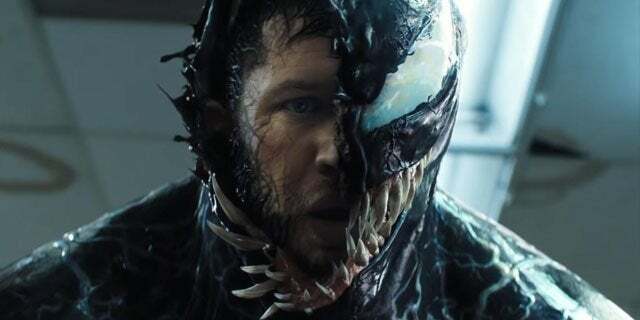 Early tracking numbers suggest that Venom will break box office records when it opens on October 5th. If you plan on being one of the fans that helps it achieve that goal on opening weekend, tickets are now on sale. You can reserve your seat on Fandango and at Atom. 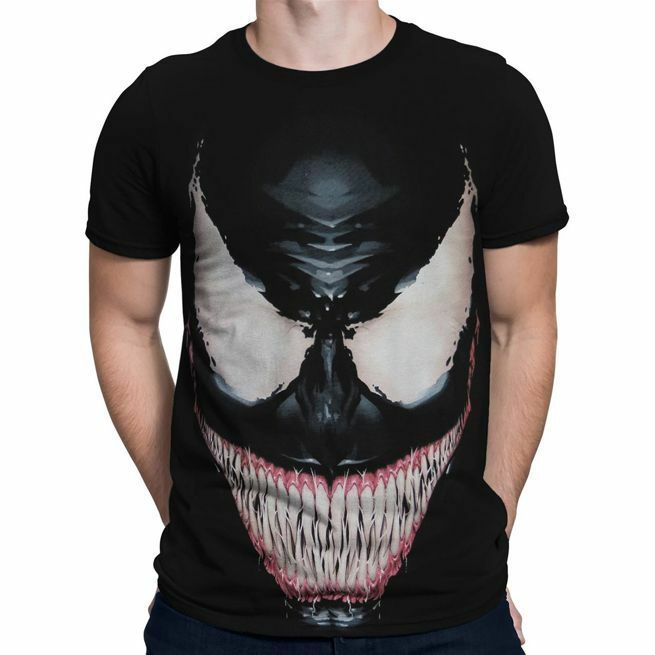 If you’re looking for the most Venom shirt possible to wear ahead of the movie release, you simply aren’t going to do any better than this Venom Sinister Smile number. 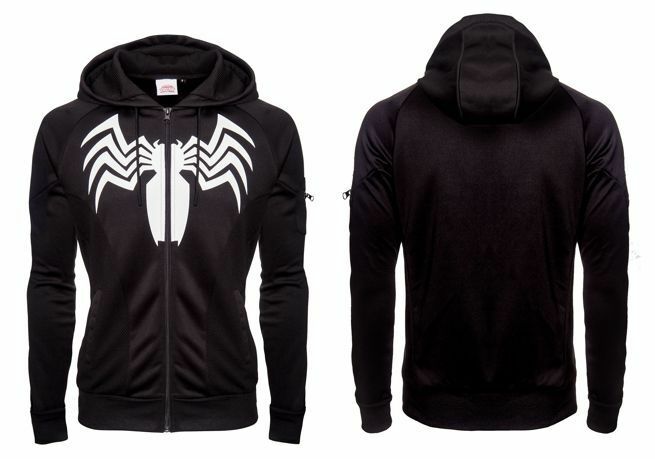 Honestly, it looks as though Venom is actually bonding with a host in shirt form. 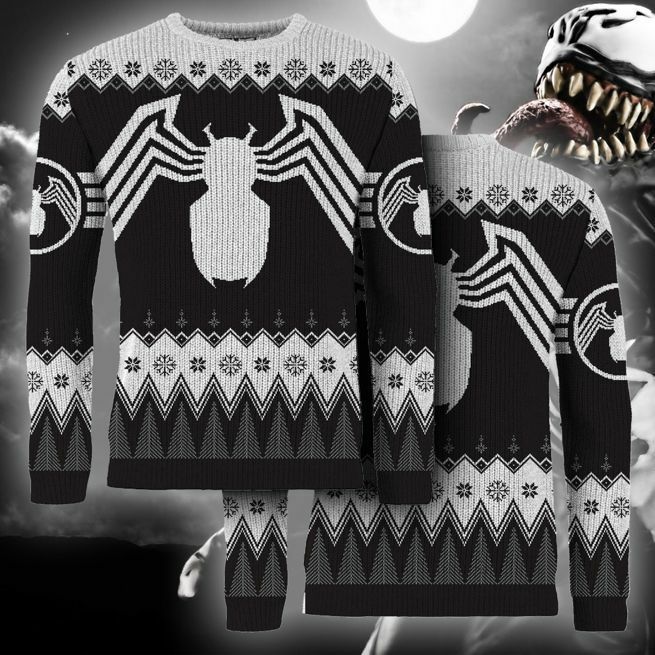 The officially licensed Marvel Venom Christmas sweater is available to pre-order at Merchoid for $54.99 with free shipping slated for September 30th. That's a pretty good deal for a high quality knitted sweater. It's also an exclusive apparently, so Merchoid is the only place you'll be able to get it. Just don't be surprised if you try it on and find that it refuses to come off.